Wafa is 29-years-old. Like most Yazidis, in August of 2014, she and her family fled their town in the Sinjar region to avoid ISIS persecution. 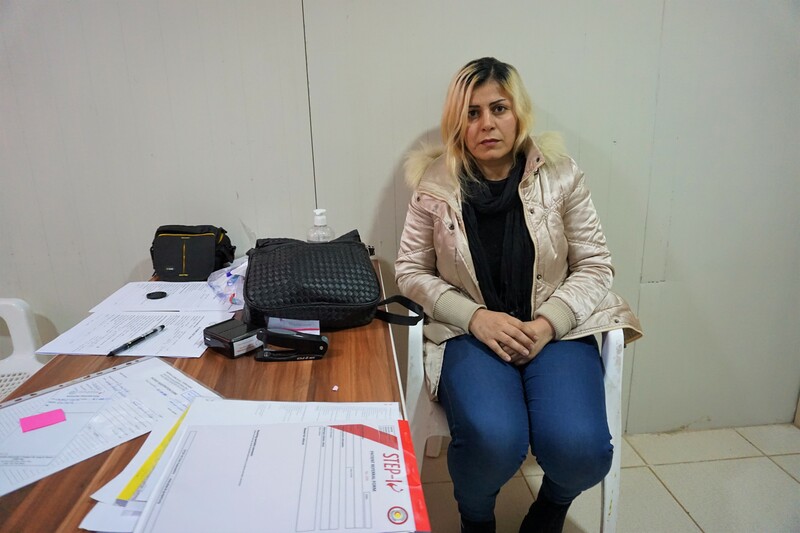 Wafa, a mother of four, spent four days hiding in the Sinjar mountains before reuniting with her brother-in-law who took her and her children to Sulemaniya. Hoping to secure a brighter future for her children, Wafa sent her second eldest child, only 11-years-old to live with a friend in Italy. She hasn’t seen her in 2 years. Wafa, her husband and children now live in a crowded house in Sulemaniya with her brother-in-laws family. A total of sixteen people share a three-bedroom house that belongs to a chicken vendor. In exchange for the accomodation, Wafa and her family help rear the chickens for their landlord to sell. However, Wafa is becoming increasingly ill and unable to participate in the work. Wafa suffers from cardiomyopathy for which she had an ICD inserted (a small device which helps regulate her heartbeat) in 2015. Without it, she would be at very high risk of experiencing cardiac arrest. Now, she needs this device changed to a CRT-D, a procedure only offered in a private hospital in central Iraqi government territory. Doctors believe she will eventually need a heart transplant. Wafa’s family is so poor, they travelled all the way to our clinic in Dawoodia (approx. a seven hour drive) to seek help with the surgery. As a young mother, we want to see that Wafa undergoes the operation. With your donations, we’ll be one step closer to helping her achieve this.